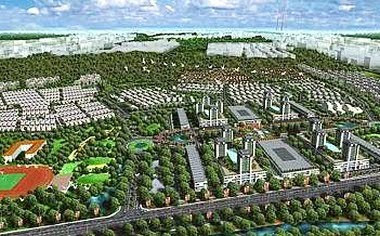 An artist impression of Yen So Park integrated development in Hanoi, Vietnam. Inset: Chow Chee Wah. There is a growing number of foreign developers scouting around for opportunities in Vietnam. While there are some success stories, there are also those that have been caught by the intricacies of doing business in the country. Investors worry about the “quite under-developed” legal system and regulatory framework, and have to be vigilant in the face of disputes. Other concerns include lack of transparency in business licensing and the regulatory environment in general. Being an agro-based and export-led economy, Vietnam has undergone significant transformation in recent years largely due to external factors. Despite potential concerns of overheating and rising inflation, the country has, on the whole, managed to stay on the growth course. Gamuda Land Sdn Bhd managing director Chow Chee Wah says Vietnam, which joined the World Trade Organisation (WTO) in 2007, is still undergoing changes to attract more foreign direct investments (FDIs). “Many things are still new to them and their policies are not as mature compared with countries like Malaysia. The Vietnamese government is still trying to streamline its policies to complement the FDIs that are flooding in,” he tells StarBizWeek. Chow feels that this is why the Vietnamese authorities are still cautious when dealing with foreign investors. 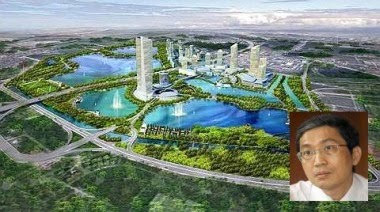 Gamuda’s 800-acre Yen So Park project in Hanoi involves the development of a sewage treatment plant, transformation of an existing park into an international theme park, and integrated commercial and residential developments. It has an estimated gross development value (GDV) of RM10bil over a 10-year period. The residential component is targeted for launch in the second quarter of this year. A WCT Land Bhd spokesman says the biggest challenge in Vietnam is land resettlement issues. WCT, which received the investment certificate for its mixed commercial development project two years ago, hopes to finalise the land resettlement issue by the year-end. “It usually takes between two and three years,” he says, adding that the matter has also been delayed due to the global financial crisis, which has affected Vietnam’s economy. “It has been a good learning curve for us and we believe we have achieved quite a lot in the past two years,” he says. The WCT project comprises office towers, serviced apartments and a hotel, with an estimated GDV of RM1bil. The WCT spokesman says although Vietnam still does not have a housing development Act, developers still have to adhere to stringent regulations. Permits have to be granted by various committees, local area governments, city governments and the central government before a project can proceed. SP Setia Bhd president and chief executive officer Tan Sri Liew Kee Sin acknowledges that the learning curve is steep with language being one of the main challenges. “SP Setia’s expectations on quality is also another hurdle as local contractors and suppliers are not able to meet the high standards set. This is due to limited exposure. “These issues take time to overcome. It took us about two years of groundwork, understanding the culture and business environment before we finally entered into a joint venture. We have been fortunate that our partner is the country’s top state-owned conglomerate which is the land owner of EcoLakes,” he says. Mobilising its most experienced staff to share knowledge and expertise with the local workforce has worked out well for SP Setia, as the company has reduced the number of seconded Malaysian staff to nine from 17 since venturing into Vietnam in mid-2007. Gamuda’s Chow points out that Malaysian developers, when venturing into Vietnam, should conduct sufficient research on the country’s cultural habits, business etiquette, and design and layout preferences. “It is also important to identify local representatives and target companies for contact. They will know the subtleties of the local culture. The partner must have a good track record and understand the various challenges of doing business in the country. “There should also be clarity in their financial dealings. Law firms in Vietnam will be able to help conduct due diligence to determine if a potential partner has good reputation,” he says. An artist impression of EcoLakes at MyPhuoc in Binh Duong province, 40km north of Ho Chi Minh City. After a bleak past two years for Vietnam’s real estate market, industry players are hoping things will start to look up this year. ECM Libra property analyst Bernard Ching says Vietnam’s property market, which used to be quite robust because of foreign demand, has eased up quite substantially. “Since the global financial crisis, many foreigners have left the country and foreign demand has dried up. Although fundamentally there is still demand for property, it is not as strong as it used to be since the foreigners left,” he says. “Companies that have ventured there need to balance the expectations of their shareholders with the realities of the market,” he notes. However, optimists believe the closure of all gold trading floors in the country by end-March will lead to a re-channelling of capital flows from gold exchanges to the stock and property markets. “Several trillion dong could flow into stocks by the end of March. Investors will then park their money in real estate,” says a property consultant. Another positive factor will be in public infrastructure investments such as the Thu Thiem bridge and the East-West highway in Ho Chi Minh City which will improve the accessibility of more districts. SP Setia Bhd president and chief executive officer Tan Sri Liew Kee Sin believes that Vietnam offers some upsides for developers. “Vietnam’s favourable demographics, with a population of 87 million people living mainly in the countryside, presents opportunities for development. “Demand for property, including suburban and modern housing, has picked up quite strongly due to a rapidly expanding urban middle-class. Even second-home vacation dwellings are seeing good take-up and this shows the kind of appetite that still prevails in Vietnam,” he says. Liew says the sentiment has improved as the Vietnamese are beginning to pull out of conservative asset classes like gold. Limited launches by developers during the global crisis has also resulted in a more favourable supply-demand scenario. Liew says Vietnam is also experiencing a sub-urbanisation trend with cities like Ho Chi Minh City getting over-populated and the infrastructure unable to accommodate the rapid population growth and associated demands as far as housing is concerned. The country’s expanding private sector has contributed to greater competition and more efficient allocation of resources. “Improvements in the operating environment by the country’s policymakers in recent years have brought a surge in foreign direct investments,” he adds. According to a recent report by CBRE Vietnam, real estate is making a big comeback as there is strong interest from investors. “As their lifestyle changes, the Vietnamese are looking to purchase second homes away from the city. This has caused a higher demand to create better homes and more choices for the Vietnamese. “The market is still relatively untapped with demand higher than supply. This segment of the ‘new money’ population that are seeking better quality products such as second homes and luxury homes is growing exponentially as the people’s purchasing power rises,” the report says. Savills Vietnam, in its latest market update, says demand for housing is expected to remain high in the medium term. A number of apartments in Ho Chi Minh City and Hanoi, and holiday homes in Danang worth US$1mil to US$5mil, have been bought by Vietnamese, it says. PROPERTY developer Sunway City Bhd (SunCity) has teamed up with Malayan Banking Bhd (Maybank) to offer home buyers with special financing packages for its various residential property developments. In a statement issued yesterday, SunCity said it is offering the double celebration double bonanza package. Via this package, buyers can enjoy the "pay half, pay less, pay later scheme with 95 per cent loan", in conjunction with the Chinese New Year (CNY) festival. This package is applicable to Casa Kiara condominiums in Mont Kiara, Kuala Lumpur, Sunway Alam Suria two-storey cluster homes in Shah Alam, Selangor, Sunway Opal Damansara condominiums at Sunway Damansara, Sunway Merica three-storey terrace homes in Sungai Ara, Penang, and Garden Villa two-storey linkhouses in Ipoh, Perak. SunCity will also offer a package for selected projects, where buyers pay a fifth of the 10 per cent downpayment with no payment during construction and only a fifth of the monthly installment of up to 24 months after completion. This package is applicable to Sunway Vivaldi condominiums in Mont Kiara, Bayrocks Garden Waterfornt Villas at Sunway South Quay and Villa Manja at Sunway SPK Damansara.